It’s official. Life is completely hectic. Unless you live in a picturesque village on the mountains away from civilization, your 21st century life is busier than ever. Rush rush rush, you know it’s way too much, but you cannot stop. We find ourselves constantly busy, with an endless list of things to do, with constant interruptions caused by technology – correct, technology which is meant to make our lives easier but in the process it makes it even harder – all those notifications on your phone actually hold you back from focusing on the things you really need to do and repeatedly drag you away to other things you did not necessarily plan to do at this very moment. Your attention is easily drawn to less productive tasks, just like a child who cannot get their eyes off the TV if there is one open anywhere nearby. So, how can we force ourselves to focus on our most important tasks? Make progress on self-motivated projects? And most importantly, achieve our goals! The time is running out every day, and by the time you finish with your everyday tasks, long day at work and home chores – cooking, cleaning, spending time with your partner and your kids, putting them in bed and coming back with a glass of water and another goodnight kiss – you must be exhausted and the last thing you want to do is sit down and get back to work. Much easier to waste your time in front of the TV, right? Appreciating that you got very limited time, you have to FOCUS. The question is, focus on WHAT? This is the key – PRIORITIZATION. You’re probably doing that anyway without even thinking about it when you are in a position when things need to get done urgently and the time is short. This is exactly the same thing, just not in emergency mode. Treat your leisure time in the morning or evening as an opportunity time to get the most important thing done. How many things should you have in your priority list? Well, you should list out all the things you need and want to do. But the key question is how many items can you possibly focus on? The magic number is 3. 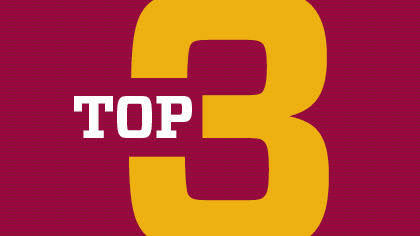 And this is what makes your “Top 3 List“. Otherwise your list is overwhelming and you are going to put too much pressure on yourself and probably achieve less. The best approach is to focus on one task at a time since Multi-Tasking is Way Too Overrated – however it is proactive to get the ball rolling on your top 3. The concept is, that at any given time of your already limited time dedicated to do the things that matter most to you, you should be doing one of your top 3, nothing else. Get one done, tick it off the list, and promote a new task onto your Top 3.